Poor oral health habits and certain beverages and foods can result in tooth decay. The bacteria from plaque destroys tooth enamel, causing cavities in the teeth. 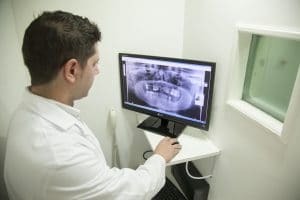 If you have developed a cavity, treatment is essential. If the decay is not extensive, a filling is the usual form of treatment. Amalgam fillings are not as common as they were in the past. Modern fillings are made of white composite materials. These fillings pose no health risks, keep the tooth healthier, and look completely natural. Severe decay may require a dental crown. Crowns are larger than fillings. The crown covers the top portion of your natural tooth. The difference depends on the condition of your tooth and the severity of the decay. Your dentist will recommend the approach that is best for your particular situation. Whether you have a filling or crown or want to avoid tooth decay in the future, you can take some easy steps to keep your teeth healthy. Practice home oral care every day. Brush and floss at least twice each day, and use a good mouthwash. Use the products that are right for you, and replace your toothbrush every few months. Make healthy choices for your diet. Avoid sweets, carbonated beverages, and sticky treats. Make an appointment with your dentist every six months. When you have a professional cleaning and exam, you can ask about dental sealants and fluoride. Sealants and fluoride are not only for children. They can be useful for anyone who wants to avoid tooth decay. Anyone, at any age, can develop tooth decay. If cavities already exist, do not hesitate to seek treatment. However, prevention is easier than treatment. If you follow these tips for cavity prevention, you may never experience tooth decay.